GMP 26: Milkweed Madness winners and spring sightings in the great white north. Milkweed sap and humans don't mix. All parts of the milkweed plant has to potential to cause harm to your health and wellbeing. Milkweed sap is know to protect the monarch butterfly long after the caterpillar has fed on the plant. The sap, though good for the monarch, can and does pose a real risk to humans and even animals. As we begin the busy milkweed season it is likely that you will be toughing milkweed plants. Become familiar with the sap and understand how it can harm you. Milkweed sap in the eyes can, in extreme cases, cause blindness. Seek immediate medical attention if milkweed sap comes into contact with your eye! The sooner that you can treat the effected area the better chance you have of reducing the long term negative effects that the sap will have on your vision. 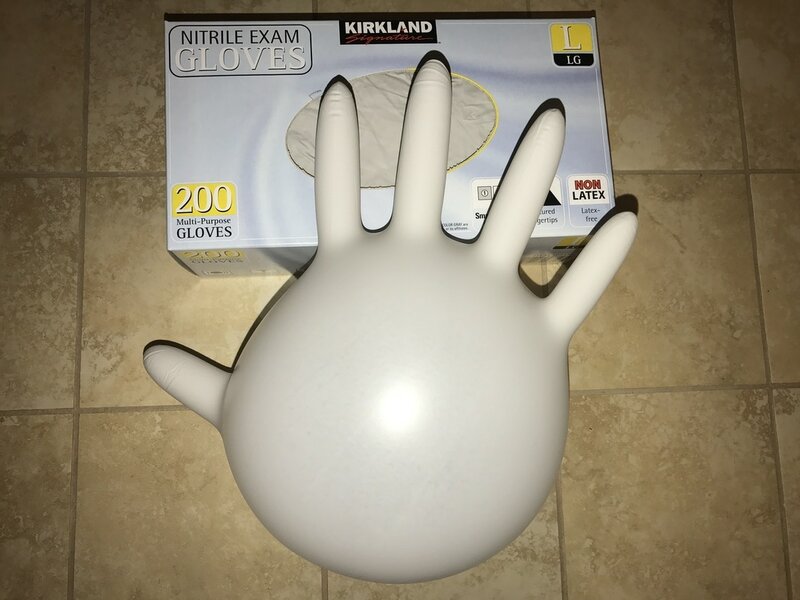 Thoroughly washing your hands in warm soapy water may be effective but wearing disposable nitrile gloves is an extra layer of safety. Do not put your hands to any part of your face when working with milkweed plants. Remove your gloves when you are done touching milkweed and then thoroughly wash your hands with warm soapy water. Exercise extreme caution if you handle contact lenses after toughing milkweed sap. The effect of the sap's residue may be prolonged and multiplied under the surface of a contact lense. 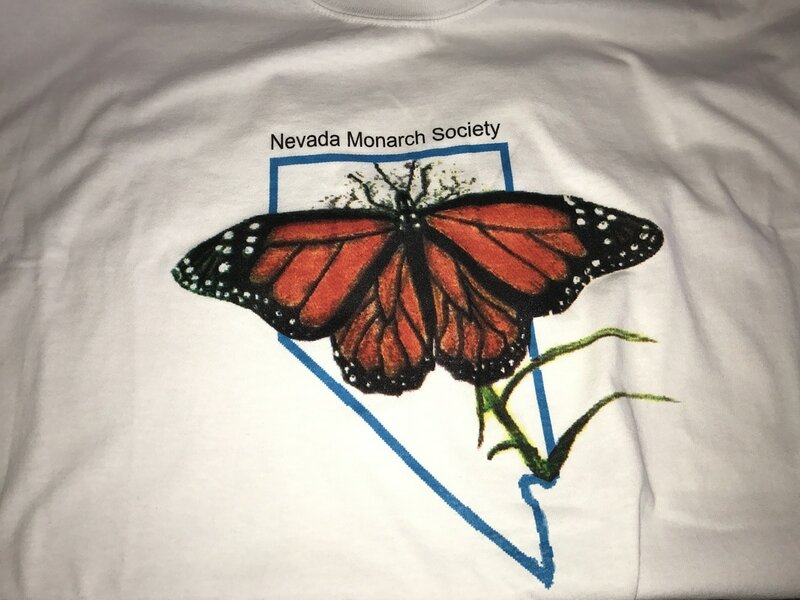 Nevada Monarch Society is a Nevada Non-Profit Organization founded in 2016. Special thanks for Julie Koop, the director of Nevada Monarch Society. Julie worked with her Carson High School students to grow milkweed in their biology classroom. I was fortunate enough to arrange to purchase ten of the locally sourced native milkweed plants. The milkweed plants are now growing in my monarch waystation at The Biggest Little Butterfly Garden In The World! Monarch mother has passed thru southern Maine! Check out the full report of the monarchs eggs, including a photo, provided by citizen scientist Jaremy. 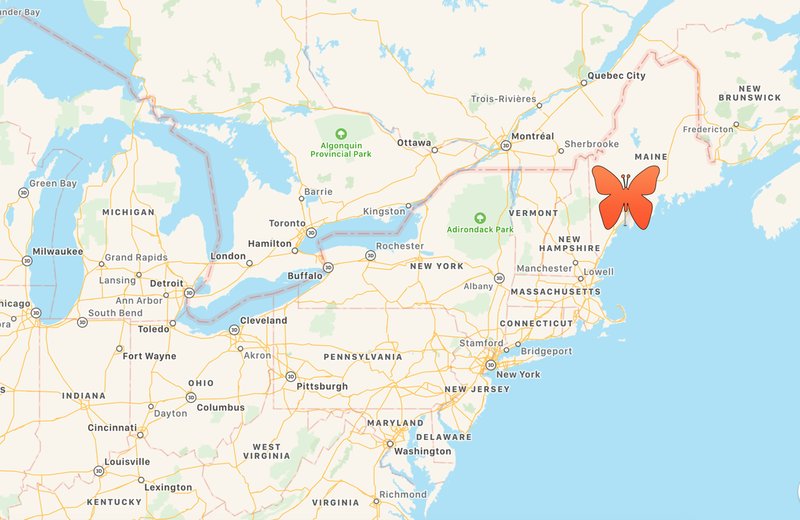 Click on the butterfly in the map to be linked to the Monarch butterfly observation in Maine.